The Ram 1500 is Canada’s longest running line of pickup trucks, and enjoys the nation’s highest degree of customer loyalty in its class. With a focus on economy and performance complemented by Ram’s distinctive exterior styling, the Ram 1500 is a force to be reckoned with, and has been consistently celebrated for its wealth of class-exclusive features. Crestview Chrysler customers from Regina to Moose Jaw, SK know that, whatever their individual needs may be, there’s always a Ram 1500 to accommodate them. 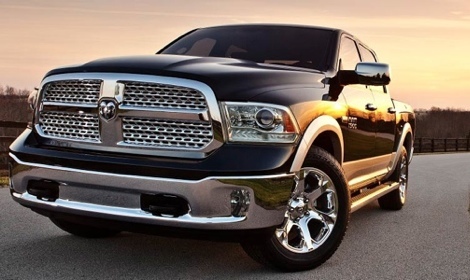 Even among such a legendary brand, the 2015 Ram 1500 stands out as exceptional. Its award-winning Pentastar engine has found its way onto Ward’s 10 Best Engines list three times, and the class-exclusive 3.0L EcoDiesel V6 makes the Ram 1500 the most fuel-efficient truck in Canada. The EcoDiesel isn’t alone, with a RamBox Cargo Management system, in-floor storage, and active-level four corner air suspension all being class-exclusive, too. With every element chosen for its superior performance, it should come as no surprise that the 2015 Ram 1500 is an industry favorite. Pitted against both the 2015 Chevrolet Silverado and the 2015 Ford F-150 on a grueling drive through Arizona and California, the new model was been named Motor Trend’s 2015 Half-Ton Truck Shootout Winner. Ram hasen’t yet released much information concerning the upcoming 2016 Ram 1500, but they’ve already exciting a frenzy of anticipation by what we’ll see from the next iteration of the luxurious Laramie Limited trim level. All Laramie Limited models will be treated to the finest styling, both inside and out. The exterior will incorporate 20-inch wheels and chrome accenting, while the interior promises to boast a sleek all-black aesthetic, with leather and Black Argento wood accents combining with crisp LED lighting to make the 1500 feel more exclusive than ever. Here at Crestview Chrysler in Regina, SK, we’re always thrilled with each year’s Ram 1500, and it’s always a pleasure seeing people’s faces the first time they slip behind the wheel and take one for a test drive. Make the short trip from Moose Jaw to visit our dealership and see what all the fuss is about.